Coriander, Cumin, Dehydrated onion, Red chilli powder, Salt, Dry ginger, Dry mango, Mustard, Tomato powder, Acidity regulator (E330), Fennel and Compounded asafoetida. Wash and soak dhal and keep aside for 15 min. In soaked dhal, add required amount of water, turmeric, Compoundedasafoetida and pressure cook. 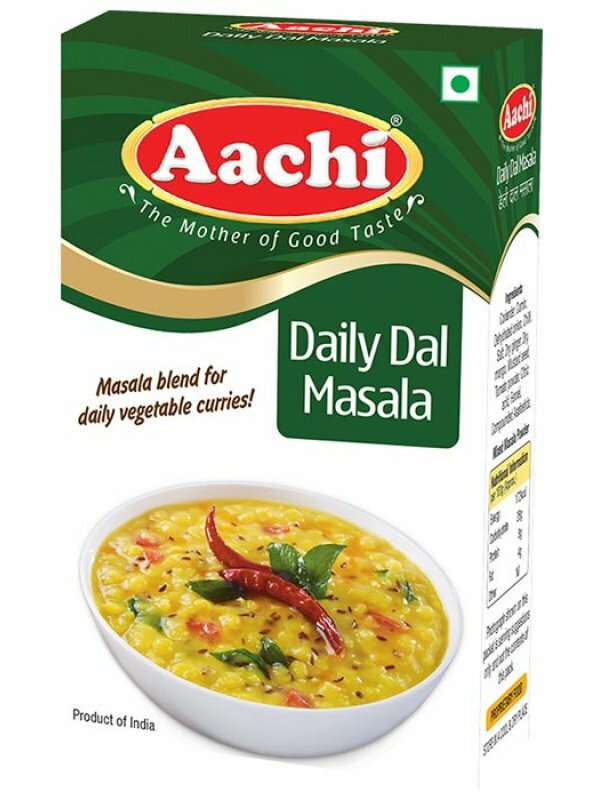 In pan heat oil/ghee, add Aachi Daily dhal masala. Add cooked dhal to it and allow it to mix well. Add required amount of water and salt. Boil and serve hot with rice.